This page aims to help you remove .Openme File Virus Ransomware for free. Our instructions also cover how any .Openme file can be recovered. Have you heard about file encryption before? This is a common data protection method which finds its implementation in every sector where data needs to be kept safe from unauthorized access. A complex encryption algorithm is used in the process to secure certain files and to make them inaccessible to other people. Some cyber criminals, however, have found a way to use this otherwise helpful and reliable data protection method as the basis for a really nasty blackmailing scheme. They have come up with ransom-demanding pieces of malware which secretly sneak inside the users’ computers and encrypt all of their data. 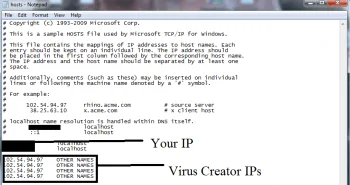 These pieces of malware ask for a ransom payment in exchange for the decryption of the locked files and place a scary ransom-demanding message on the victim’s screen. In the cyber circles, such threats are known as Ransomware and .Openme is the name of one of their latest representatives. If you have had the misfortune of getting infected with this particular piece of malware, in the next lines, we will do our best to help you remove it and bypass the ransom payment by exploring some file-recovery alternatives. Generally, the effective elimination of the Ransomware infection may require the use of a professional removal tool or a manual removal guide and that’s why below we have made sure to give you both of these options below. The recovery of the sealed data, however, may require some additional steps and may not always be successful. Once locked by the secret encryption, your files can only be accessed either after a special decryption key has been applied or through backup copies. The crooks behind .Openme typically promise to send you that special decryption key if you make the ransom payment but trusting such promises isn’t exactly advisable which is why, in the next lines, we have prepared some alternative solutions which do not involve giving money to the hackers. There are several very important things you need to keep in mind in case that you have been attacked by .Openme. 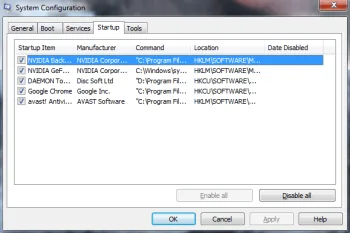 The correct detection of the infection is crucial if you want to safely remove the cryptovirus from your computer. 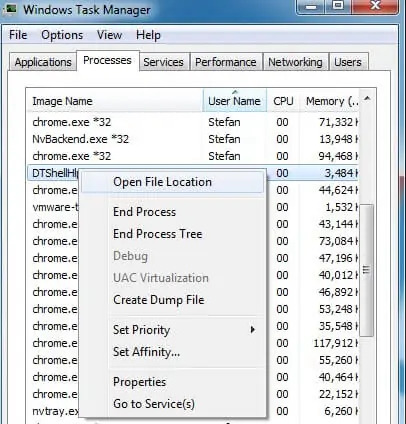 That’s why it is highly advisable to use a trusted scanner tool for locating the malware-related data. This will ensure that .Openme will be removed completely without any residuals left behind somewhere in the system. What is more, the clean machine will be safe to use and you will be able to proceed with your file-recovery attempts without any risk of getting new files encrypted. Unfortunately, you need to understand that after the successful elimination of the infection, the already sealed data may still not get back to normal. This is probably the most dreadful effect of the Ransomware’s attack. Still, when you clean the computer, you can use your file backups or try out some of the file-recovery suggestions that we have published in the guide in order to minimize the data loss. Regardless of your efforts, however, keep in mind that you may not get back all of your files. Even paying the ransom may not give any guarantees about the data’s recovery. It really isn’t advisable to trust the hackers as they could easily deceive you and get the money without actually giving you back the access to your data.